When Is United Nations' World Health Day 2019? World Health Day is an annual event on April 7 to draw attention to particular priorities in global health. Global health issues are raised on World Health Day. 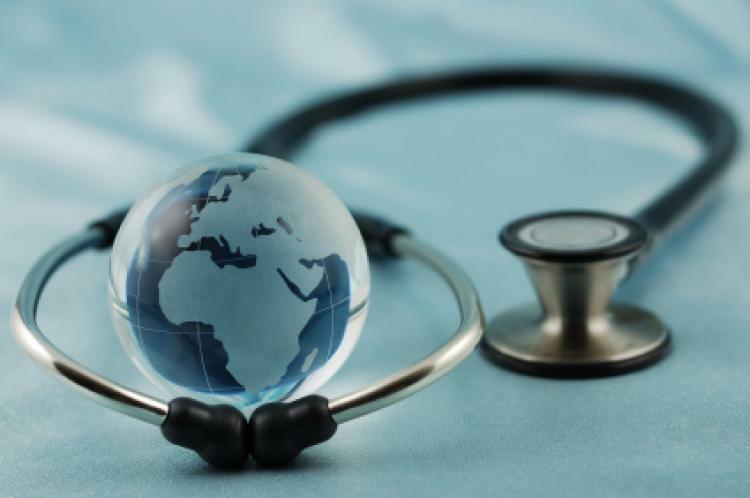 Various local, national and international events are arranged to educate the public and policy makers about a specific aspect of the World Health Organization's work. This event receives plenty of media coverage. A toolkit is provided for those who wish to plan events but emphasizes that these should be suitable for the local cultural, social and economic conditions. Examples of events include conferences for health workers, briefings for local politicians, and informational displays for children and young people. Public marches and demonstrations, as well as free or easy access to medical tests, can also take place on the day. World Health Day is a global observance and not a public holiday. In 1945 diplomats from a range of countries formed the United Nations. One of the organizations formed was the United Nations Economic and Social Council, which first met in 1946. During this meeting, there were calls for the establishment of an organization in the United Nations, which would be dedicated to health issues. The new organization would carry on the work of the Office International d'Hygiène Publique (the International Office for Public Hygiene) and the health units of the League of Nations. These organizations were established in the early years of the 20th century, but were overburdened by the huge health consequences of the aftermath of World War I and were unable to function effectively when World War II started. It would also carry on the work of the United Nations Relief and Rehabilitation Administration, which provided medical aid to millions of people in the aftermath of the devastating military action in Europe during the last part of World War II. The World Health Organization was founded on April 7, 1948. Since then, the organization has carried out a huge amount of valuable work, including the global eradication of smallpox and the implementation of a wide range of public health strategies. Now, 193 countries are members and the organization is still working to improve many aspects of health around the world. At the First World Health Assembly in 1948, the delegates called for a World Health Day to mark the anniversary of the founding of the World Health Organization. This has been held on April 7 every year since 1950. The day is used to draw attention to particular priorities in global health. The WHO logo or emblem, which was chosen by the first World Health Assembly in 1948, is often associated with promotional material for World Mental Health Day. The emblem consists of the UN symbol surmounted by a staff with a snake coiling round it. The staff with the snake has long been a symbol of medicine and the medical profession. It originates from the story of Aesculapius who was revered by the ancient Greeks as a god of healing and whose cult involved the use of snakes. The UN symbol features a projection of a world map (less Antarctica) centered on the North Pole, inscribed in a wreath consisting of crossed conventionalized branches of the olive tree. The olive branches symbolize peace and the world map depicts the area of concern to the UN in achieving its main purpose, peace and security. The projection of the map extends to 60 degrees south latitude, and includes five concentric circles.